Mid-Vivid here in Sydney, lots going on! Lovely new stuff from Gravenhurst, Susanna, JK Flesh aka Justin K Broadrick and New Zealand's Montano, plus a special on the wonderful tunes of Howard Hello. Started with two amazing ladies who I saw at Vivid this weekend. Janelle Monáe's show was as incredible as expected - amazing musicianship, singing, dancing — although my thought during the show was that the sound could only have been done by someone with seriously damaged hearing (you can't be that loud in the Sydney Opera House Concert Hall without serious EQ work, which was not done). But sound aside, the only other disappointment was not getting to hear Many Moons live. So I played it tonight, and if you haven't seen the video, open this link in another tab right now! The wonderful Shara Worden aka My Brightest Diamond was a delight tonight, with local classical musicians along with her drummer playing mainly tracks from her latest album — but she missed one of my absolute favourites. When the chorus comes around both times, it's glorious. Revisiting Richard Youngs, who I featured at the end of last week's show, but I still had more I needed to play. Traditional English song meets noise and minimalism — he's like noone else. I've been loving the new Gravenhurst album. For some reason I can't find my copy of his first album at home, but he's always dealt in dark folk, with some ambient elements. On the new album, there's folk and something like folk rock, along with shoegaze, ambient and even venturing into a sort of low-key electronic pop on the first track I played. With Susanna we move further into the folk world, with her impossibly pure voice, and... wait, what are these wobbly noises, what's this strange feedback? All the songs on her new album sound like classic folk songs a la early Joni Mitchell, but Deathprod's production ensures there's enough weirdness around the edges for our needs. Next up with the weirdness from Australia, Melbourne's Children of the Wave finally have a second album on the way, and it looks set to be as unclassifiable and slippery as the last: songs floating in and out of the middle of tracks, ambient field recordings brushing shoulders with acoustic and electronic instruments. Nice. Sydney's post-r'n'b experimental vocalists Guerre & Scissor Lock have teamed up for a collaboration and they're launching the new album at Serial Space on Thursday. Definitely the gig to be at. And Sydney's Mannheim Rocket has released a new EP on the eve of leaving the country. It's another mix of classical samples and Bass beats, including some beautiful cello samples on the track I played. All downloadable for free at Bandcamp, so no excuses! Still hugely excited about the forthcoming album from Canberra's Shoeb Ahmad, and tonight I played a nice combo of jangly guitar, drum machine and vocals. Look out for the release on Mystery Plays on June 18th. A few weeks ago I played some awesome folktronic tracks from the first mini-album by Howard Hello, project of Kenseth Thibideau of Tarentel. I tracked down their album and later EP, so tonight we had an HH-fest. I do still think the original CD is the best of the lot, but it's lovely to hear an early appearance from Dirty Projectors' Amber Coffman on the EP. Speaking of "folktronica", such as it is, Third Eye Foundation collaborator Chris Cole's debut album as Manyfingers on the Moteer label is a favourite of the genre (if it's really of that genre). After a second album on a Spanish label, he's now made his home with the brilliant French label Ici D'Ailleurs, along with Third Eye Foundation's Matt Elliott, with whom he shared a recent split 12" for Record Store Day. New track "You're No Siren" features vocals from Chris Adams of Bracken & Hood and Liz Sharkey. There's an excellent video for it at Vimeo. And then we dive into another special: now it's the turn of Justin K Broadrick, alumnus of Napalm Death, man of many aliases, from the industrial Godflesh to the heavy shoegaze riffage of Jesu, and the more minimal drone/riffs of FINAL, to the dreamy electronic shoegaze of Pale Sketcher. JK Flesh sees him combining witchy death metal vocals and the industrial attitude of Godflesh with heavy post-dubstep (but not dubstep) beats. Not to be ignored. It was nice to play veteran Aussie testosterone rockers The Mark of Cain in there too, courtesy of a Broadrick remix. We finish with a couple of excellent tracks from New Zealand by way of Melbourne. Montano are an NZ duo who originally met in Melbourne, and on their original album made mind-boggling electronica entirely out of field recordings. The new album relaxes the strictures somewhat, but still involves prominent field recordings and their manipulated sounds. Highly recommended. Tonight ranges from a whole lot of electronic sounds at the start to ascetic folk by way of noise/drone of Richard Youngs at the end. LISTEN AGAIN via the podcast or the link down below, or stream on demand! Emika put out a very fine dubstep-influenced album last year, and her new single keeps it very electronic, albeit not really dancefloor fare. As dark as ever, she's processed and glitched on "Save It", with a skittery but dubstep-flavoured beat. The title track of the EP, on the other hand, is a lysergic, disorienting piece of techno more than dubstep, and the re-edit makes it more submerged and dark. One of my favourite dubstep albums of the year has just come out from Komonazmuk. I first discovered him in 2007 with an awesome song sampling Saint Etienne on the more breakcore-oriented Terminal Dusk label. The new album verges into something like UK funky and even drum'n'bass at one point, but is mostly very nice heavy core dubstep with great beats, lots of variation through the tracks, and even some Silkie-style jazzy melodicism here and there. Lorn's debut on Brainfeeder was one of the most melodic and rhythmically enjoyable electronic albums of the last few years. His newie is coming out on Ninja Tune and it's quite a bit darker, but still as inventive and richly-produced. The new (free download) compilation from New Weird Australia came out this weekend, this time a collaboration with Melbourne's Fallopian Tunes. I can't work out who Bad Bones is, but it's a fun and very short track. And Exotic Snake contribute some current beats and a lovely chord progression. That chord progression nicely segues into our next little feature, via the "lullaby" from Erast, aka Nikakoi, an (Eastern European) Georgian artist who's been making IDM since around 2002. He's turned up this year producing the latest album from Japanese electronic chanteuse Coppe', and so I went back to listen to his excellent back catalogue. With drill'n'bass and glitchy breaks rubbing shoulders with quite Eastern European flavoured harmonies here and there, he's always been on my to-buy list, and it's nice to find him very fittingly producing tracks with Coppe'. We also heard a couple more remixes of her track Yogurt, which is simple and strong enough to support and entire album's worth of remixes via the Bit-Phalanx collective from the UK. A change of gear, next up we have a visit from looping cellist Zoë Keating, who's making a welcome visit to Australian shores the weekend after next. Her music's very melodic, but she doesn't hesitate to bring out the rhythms and lay pulsating effects over her cello loops when necessary. Beguiling stuff. Keeping it quasi-classical, Nico Muhly has a new EP out which is the first in a series of three "drones" focused affairs. The drones here are provided by strings, with piano bashing out rhythmic counterpoints throughout. I'm chomping at the bit to play you more from Shoeb Ahmad's marvellous new album, but it's not out till mid-June, so I'm sticking for now to the excellent indietronic single "Falling Fast", with drum machine and guitar strumming juxtaposed with sampled string glissandi and his unassuming vocals. I also dredged up a Part Timer remix of an older version of this tune, from way back in 2007! And finally, as much as I could fit in for tonight's pièce de resistance, the (song-based) works of Richard Youngs. I came to him far too late, and he has an insanely huge oeuvre, even if we're ignoring for now his collaborative (and solo) works in the noise world. Youngs is an Englishman who's been based in Scotland for decades, and who has a singular approach to songwriting, derived from traditional English (folk) song, with a penchant for (r)evolutionary vocal repetition and accompaniments that can range from simple piano or classical guitar to multi-tracked, out-of-phase instruments, squalls of guitar noise, electronically layered manic drums — you name it, pretty much. I only managed to cover the tip of the iceberg tonight, and I've only personally dipped into a smallish proportion (or so it feels), but his work is incredibly inspiring, even though (or partially because) the dogged repitition can become painful if you're not listening in the right frame of mind. Apart from the large suite of solo songwriting albums on Jagjaguwar, he's released albums on a bewildering number of labels, many vinyl only, many in small CDR runs. The latest is on Jefre Cantu-Ledesma's Root Strata, in vinyl and (thankfully) download (but I still wish CD were an option). It's a crucial release. Possibly the most accessible, and therefore frustratingly obscure, is his Beyond the Valley of the Ultrahits, originally released in two 100-copy CDR runs by Sonic Oyster Records, and later made available by Jagjaguwar, in which he attempts a form of electro-pop, almost indietronica, with electronic beats, synths, and short songs which are inhumanly catchy — although he still drops in weird touches, like phrases not quite fitting into the barlines, and strange repetitive passages even here. Still, utterly wonderful. Tonight featured an interview with the always lovely Cameron Webb aka Seaworthy, and the rest was almost exclusively filled up with a few artist specials... Crazy times. Check out Seaworthy & Matt Rösner's Environmental Sounds blog. LISTEN AGAIN to enjoy these great artists in-depth: direct link, podcast feed or, go on, on demand streaming! I started with a couple of random minimal drum'n'bass tunes that turned up this week, and very nice too. Komonazmuk first came to my attention with some releases on the breakcore-meets-dubstep label Terminal Dusk. We'll hear something from that next week, along with some more dubsteppy tunes from his new album, but tonight I played a cut from the album which sits in that liminal land between full-throttle d'n'b and post-r'n'b bass music. And from the Australian Enig'matik Records label, best known for glitch-hop and psychedelic techno sounds, Melbourne artist Child brought us a very nice piece of melodic, minimal d'n'b. Then we went head-on into an interview with Cam from Seaworthy. Seaworthy has been a stalwart of Sydney's experimental, slow/minimal/drone scene for probably over a decade, Cameron often being joined by Sam Shinazzi (himself a well-known indie artist) and Greg Bird. For some time thought it's been essentially a solo act for Cam, usually with his signature looped guitar licks plus field recordings. But as we delve into their past we hear piano refrains, glitchy remixes, drones and even some rare singing. The new album, for the second year of Preservation's Circa series of limited releases, features Cam taking a new tack, mostly focusing on the breathy wheeze of the harmonium. It makes for some beautiful sounds, deceptively detailed. After Seaworthy we dive right into another special, on the beautiful Dictaphone. Their sound is somehow very German to me, fitting right into the sound world of bands like To Rococo Rot, Tarwater, The Notwist and Tied and Tickled Trio, with the warm acoustic sounds of Roger Döring's clarinet and saxophone, plus the bass of Oliver Doering, entwining with Doering's samples and clicky beats. There's a cosmopolitan European jazz feel to their music which is particularly emphasised with the addition of Alexander Stolze's violin on the new album, while Mariechen Danz's vocal on standout track "Rattle" hints at the more trip-hoppy aspects of their sound. Next up, much-loved Sydney duo ollo have a new album out, centred around Alex Crowfoot's love of analogue synths and effects — aptly named Ape Delay (they do love their language games). I started, however, with the unassuming "trouble is" from their 2006 album The If If, which in its less than 2 minutes manages to be one of my favourite pieces of songwriting from the last decade or so. An evocative mix of synth, drum machine and vocals, with a touching, slightly surreal lyric. The new album is more upbeat, and rather krautrocky with its emphasis on analogue synths and tape effects, and makes good use of Alex's ear for classic pop hooks. Oughta be a hit. Meanwhile, from their C-Sides collection of mostly unreleased tracks from 1996-2006, we heard an incredible piece of cut-up multi-tracked vocals. To finish up, we had yet another extended special, on the brilliant Patrick Watson. He first came to my attention with 2006's Close to Paradise (we probably got it here in 2007), and it did suit UFog's love for genre-bending. Watson's comfortable with the chamber pop of emotive vocals, piano and mini-classical arrangements, with folk and smokey jazz, but he's also happy to drop pulsing electronic effects, edited drums and other little bits of studio trickery into the mix. His second album followed suit a few years later, with equally beguiling songwriting, and no less of the subtle experimentation. The new album might feel somewhat more straightforwardly indiepop, but once again this is only if you don't listen to the details and ignore the instrumental tracks. A fantastically talented, inspiring artist. Oren Ambarchi interview tonight, as he's up in Sydney for the Aurora Festival this coming week, along with Merzbow. As usual, LISTEN AGAIN via the podcast, link at the bottom, or the lovely ol' FBi on demand streaming. If you want to just listen to the Oren Ambarchi interview, you can download it here. This weekend brough the awful news that Adam Yauch aka MCA of the Beastie Boys passed away from the cancer he's been suffering from these last few years. I was going to play some favourite Beasties songs (there's certainly plenty) but decided to opt for the slightly more oblique path with two of dj BC's surprising and fun covers &dash; the first a nod to last week's show opener, Steve Reich, who I prefer by far to Philip Glass, but nevertheless dj BC's refits in Glassbreaks work perfectly. As mentioned, Japan's noise maestro Merzbow is in town, and while we didn't delve into his aural nightmares themselves, we heard a couple of remixes from two big 2CD remix sets, both from 2003 (the year of FBi's and UFog's birth). Plug retains the sonic mayhem of the original but adds classic Vibertian vocal samples and amen breaks, and the Fennesz track predates his predominantly twinkly latter-day phase, so we have a nice wall of washed-out noise. We heard a good array of Oren Ambarchi's music, not going back to his various '90s noise groups, but from his early solo guitar works, in which electric guitar was sent through an array of guitar effects the end product of which was something akin to minimal electronica. The interview is well worth listening to (within the show or separately) for some insights into how his creative process has changed over the years, as well as some great anecdotes from 2 decades of deep involvement in the noise and experimental music scene. From Adelaide, Wolfpanther (previously known as Marxist Real Estate) picks up the four-track recorder after too long away, and gives us a slice of motorik noise-rock. One of my albums of the week comes from the pairing of Benoît Pioulard & Rafael Anton Irissari as Orcas. Released on Morr Music, it's a kind of ambient indietronica, taking familiar elements from both artists, but somehow inspiring some truly beautiful songs and deep arrangements - grainy drones, washed-out shoegazey guitars, and a really gorgeous repeated piano motif in one track. Highly recommended. 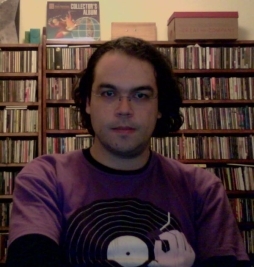 Benoît Pioulard (aka Thomas Meluch) is no stranger to collaboration, and has worked with Praveen Sharma before. He appears on about half the tracks on a very ambient & folky new Praveen release only available via the Ghostly Music Service. We last heard Praveen last year in his amazing post-footwork/post-r'n'b duo with Machinedrum, Sepalcure, so I slipped in a track from them too. Onwards to our next special, and another album of the week — Filastine's £00t. For three albums now, he's explored the rough edges of the post-colonial, post-global world, with tight up-to-the-minute beats and production underpinning a real sensitivity to the cultures he borrows from (or collaborates with), while allowing the listener to just enjoy the music without being hammered with ideology (if they really want to). He's aided by the pretty extraordinary vocals of Indonesian singer Nova on a couple of tracks here, and some guerilla cello from Amélie Bouard. I can't find out anything about Jessika Skeletalia Kenny, whose very middle-eastern-sounding vocals adorn some earlier Filastine tracks. Björk is still seeking out weird and wonderful artists to remix her, and so after last year's Exmilitary mixtape made a big impact, and their debut album proper The Money Folder has just come out, Death Grips do their manic, unhinged thing with two Biophilia tracks. The Money Folder is growing on me, but I still kind of feel it's a slight let-down after Exmilitary. But there's a second Death Grips album due out later this year — in fact they've cancelled all live gigs in order to finish it! And from the first Biophilia remix single we had one of Current Value's typically bass-heavy drum'n'bass/dubstep reworks. We heard his work a week or two back as part of the excellent dubstep-meets-breakcore-meets-trip-hop group Underhill. Almost finally, a hint of the sounds of Japanese electronica-loving songstress Coppe'. I picked up her remix album with UK-based collective bit-phalanx from last year, along with the insane coppe' in a bloc package which features the new album rays with Georgian producer Nikakoi, and a 2GB lego-shaped USB stick with hours and hours of remixes, collaborations, videos and DJ mixes. Crazy and mostly very very good! The bit-phalanx remixes are all of one track, "Yogurt", which is simple and catchy enough to happily stand 14 (very varied) repeat listens. And I first heard Nikakoi on his debut album in 2002, and followed him through his incarnation as Erast — we'll hear more of his melodic and complex idm next week, along with more Coppe'. Also next week we have an interview with the lovely Cameron Webb aka Seaworthy, from whose album we took a beautiful piece of processed guitar. Hopefully he'll bring some instruments and play something live for us too.